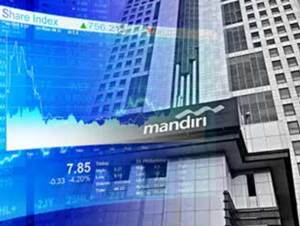 PT Bank Mandiri (Persero) Tbk - Bank Mandiri (IDX :BMRI) or referred to as "Mandiri Group" is an Indonesian state-owned bank and is positioned inside the top three of Indonesian banks in terms of total assets. According to PT Bank Mandiri (Persero) Tbk Annual Report 2016, Bank Mandiri was able to expand total assets by 14.14% from Rp 910.06 trillion in 2015 to Rp1,038.71 trillion in 2016. Bank Mandiri is widely known nationwide as the first financial institution in Indonesia that managed to record a total asset of more than Rp. 1,000 trillion. Based in Jakarta, PT Bank Mandiri (Persero) Tbk runs its business through 2,599 domestic branch offices, 17,461 Automatic Teller Machines (ATMs) and directly employs nearly 38,940 employees (as of December 2016). Bank Mandiri is majority owned by the Government of Indonesia. At present, 60% of its shares are held byby the Government of Indonesia, and 40% remaining shares by investor and public shareholders. Strong interest specifically in IT. JobsCDC.com now available on android device. Download now on Google Play here. Please be aware of recruitment fraud. The entire stage of this selection process is free of charge. PT Bank Mandiri (Persero) Tbk - S1, S2 Fresh Graduate ODP OT Mandiri March 2017 will never ask for fees or upfront payments for any purposes during the recruitment process such as transportation and accommodation.